In the 1890s, the fledgling Armenian community in America founded a branch of its historic church in the New World, but it was hardly clear at the time whether the Armenian Church would thrive in this new environment. 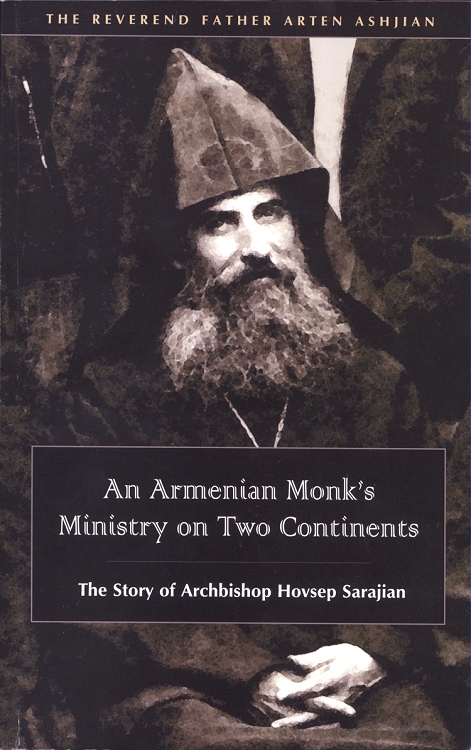 As the first pastor and later the first primate, Hovsep Sarajian played a crucial role. Today, the three Armenian dioceses and over 100 parishes in North America are a testament to Fr. Sarajian's early efforts. Fr. Arten Ashjian has collected archival materials and testimonies from three continents to tell the story of Sarajian's life and ministry. His reconstruction illuminates a critical period in the Armenian Church's modern history and brings to life one of its truly influential figures.